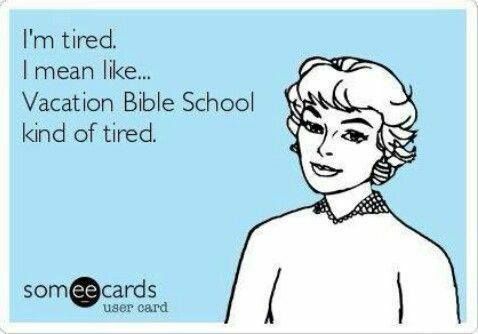 I am recovering from Vacation Bible School (VBS) preparations. We have approximately 650 kids for the week and I head up the team that sets the stage. This year we turned a church full of trees and plants into base camp on Mount Everest. It is fun but exhausting, I am worn out. Now, I get to be done but VBS has just started. I have a group of great friends who will get up every day this week and wrangle those 650 kids and the volunteers that go with them and make sure that everyone is safe and having fun. Every Robcast is my new favorite and this one is no exception. He talks about being Eucharist. How we, like the bread and wine, are broken and spilled out as gifts to those around us. How we can be Eucharist tired. Soul tired from pouring ourselves out. It reminded me of all the people along my journey that have broken and poured themselves out for me. It reminded me that I have the privilege of being poured out and broken to be a gift to others. My work, my talent, my passion is sacred and when I use that bless others and to bring healing to those around me, I am in good company because that's what Jesus did. It reminded me that maybe VBS tired is the same thing as Eucharist tired because seriously 650 kids all in one place waiting to be blessed and they don't even know it! So, tonight while I get to rest and recuperate my prayer is for my friends still pouring themselves out. May they know that this kind of tired is the best kind of tired because even though it's "just" VBS, it is also a chance to bring life, healing and restoration to our small corner of the world. Now got listen to Rob Bell. He's got some good stuff. Rob Bell just summed up the purpose of life. God made everyone a king, understand your powers and bless the ones around you.